Grow a healthy crop of late season tomatoes by taking fall tomato cuttings in early to midsummer. By rooting your own cuttings you accomplish at least three things. Growing fall tomato seedlings from suckers takes just a bit of planning. Determine a planting window in which you want to set fall tomato plants in the ground. Count back 60-85 days from your region’s first frost date to see the best time for fall tomato planting in your area. Add 3-4 weeks to that date. During that time, your pruned suckers can be rooted and grow into mature seedlings with strong root systems. Allow some suckers on tomato plants to grow 4-6 inches long. Make sure suckers are healthy and strong, with no pests or diseases, and that there are leaves on the end of the sucker. Cut sucker from the plant. Carefully grasp the base of the sucker between the thumb and forefinger. Pinch it or bend the sucker back and forth gently until it snaps. Pinched wounds will heal quickly and are less disease-prone on young plants. If the plant is too strong to allow hand pruning, you may need to use a retractable blade or garden clippers rather than your fingers to cut sucker. Disinfect your tool to prevent an infection to the tomato plant. See photos that show how to prune suckers. Remove lower leaves from the sucker. Place sucker in a jar or cup of water, wet sand, or wet vermiculite to start the rooting process. Once roots begin to form, plant the sucker in a well-drained pot filled with quality potting mixture. Water well. Set newly-potted seedlings in a protected, shady area for a few days to help them get established. Gradually harden off rooted seedlings by moving them into the sun for a few hours at a time. Increase exposure steadily. Check seedling’s developing root system by studying the base of the plant and noting tiny white root shoots that extend out onto the soil. Re-pot seedling after 10-14 days to a larger container. This will help prevent tomato plant from becoming root bound and will allow root system to develop as thoroughly as possible. 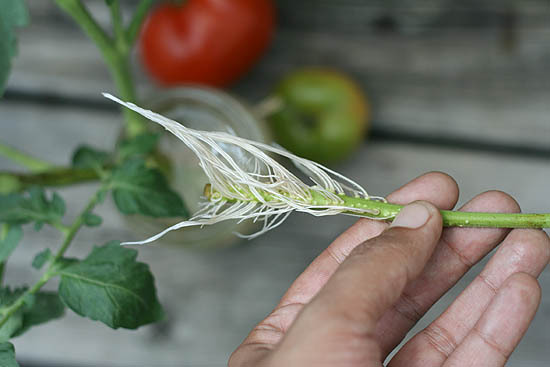 A strong root system is a key indicator of fall tomatoes’ potential success in the garden. Plant fall tomato seedlings in the garden 60-85 days before your area’s projected first frost date. Should I plant second season tomatoes - and when? 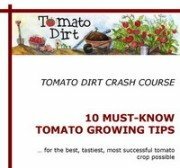 How to root fall tomatoes from existing plants ..